For the Southern and Central African region SOVEC is partnering with a team of successful venture capitalists from Zimbabwe. 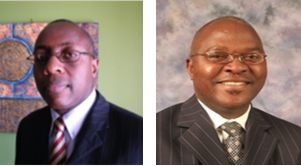 They are highly experienced with the intricacies of investing in Zimbabwe’s promising market. They are setting up a fund in which SOVEC will be an anchor investor. The team have sourced, made and successfully exited deals in Zimbabwe, and hence have a strong track record and a broad network across Southern Africa. SOVEC’s strategy in three regions in Africa ensures a significant and very Real Impact of the SOVEC investments.